When the weather starts to get warmer, it just seems like it’s time to incorporate more fish meals into our weekly dinner routine. 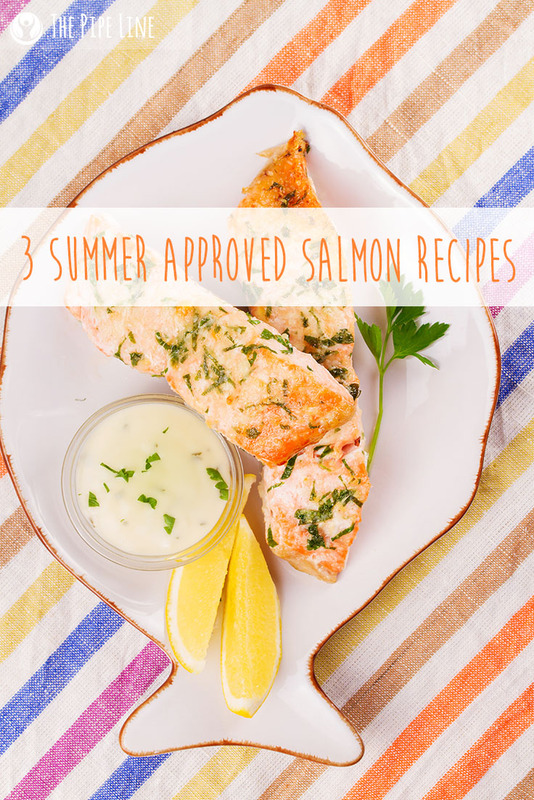 One of our favorite types of fish is salmon! This was probably a given ever since we wrote our guide on being a pescatarian (check that out here). Nonetheless, this post is intended to focus on all things related to the pink fish. After all, it is versatile and full of great health benefits. From the level of omega-3’s it contains right down to its unsurpassed savory tastiness, this is one fish that spells out summer time. To prepare the salmon, first evenly spread the oil out on the filets. Add salt and pepper. Place on aluminum foil. Set aside and preheat the oven to 375 degrees Fahrenheit. While the oven is heating up, make the sauce which can be found here: http://www.epicurious.com/recipes/food/views/lime-mojo-102882. 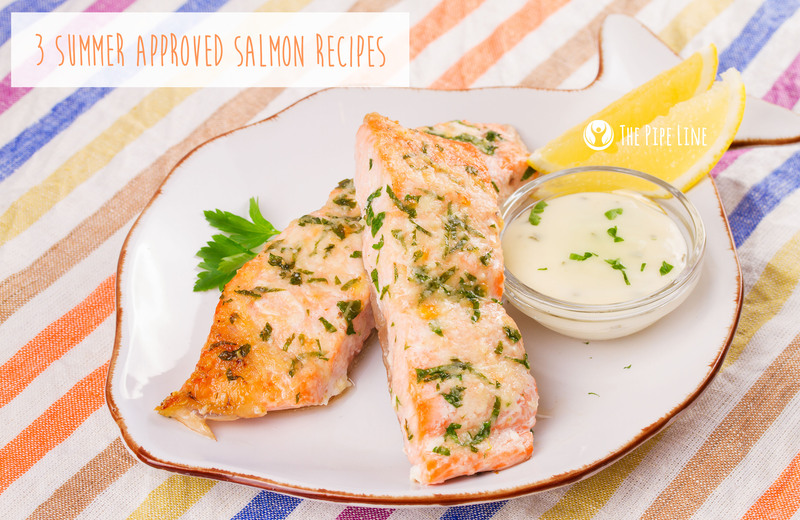 Place the sauce, once made, on top of the salmon and bake in the oven for about 30 minutes, or until fully cooked. For this recipe, first mix together the 2 tbsp. of maple syrup with 2 tsp of Dijon mustard. Then, prep your salmon with a bit of olive oil, salt and pepper. Place on the grill, spreading the sauce evenly on both sides while flipping to ensure thoroughly cooked. While this is going on, have your rice cooking in your rice cooker (or on the stove, for every 2 cups of rice, 1 ¾ cup of water is needed and you add the rice after the water is boiled). Place the rice on a plate, place the salmon on top of the rice. Serve! In a bowl combine the bread crumbs, salt, and pepper with the chopped parsley. Mix in the juice of the lemon and then add the salmon. Mush together with your hands until it forms a unified texture. On a skillet, add some olive oil, and heat it up. Then forming a patty shape with your hands, fry one side then the next until fully cooked. Place between a burger bun and enjoy! Or add to a salad. Your call. Love our post? Let us know below and comment with your favorite recipe!